Ok, so I have a confession. I made this last weekend, and it was a total fail. Apparently, this is one of the hardest, most persnickety things to make. Mine did just not set right. It was a runny mess, but it still had the right taste. This time, it just came together. I think the center was a bit warm still and could have used another 30 minutes or so in the fridge, but otherwise, it was perfect. 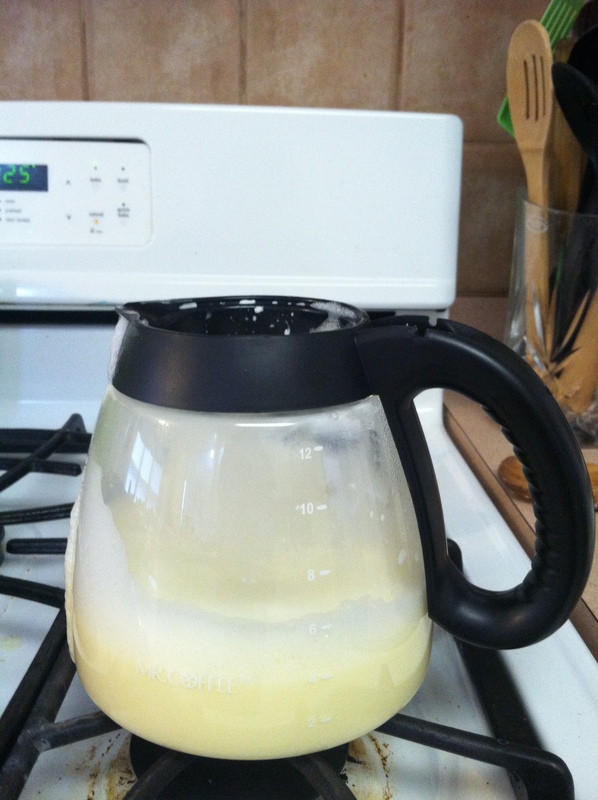 Hint: Use a pouring device, such as a coffee pot to help out. Add the crème a little bit of a time. 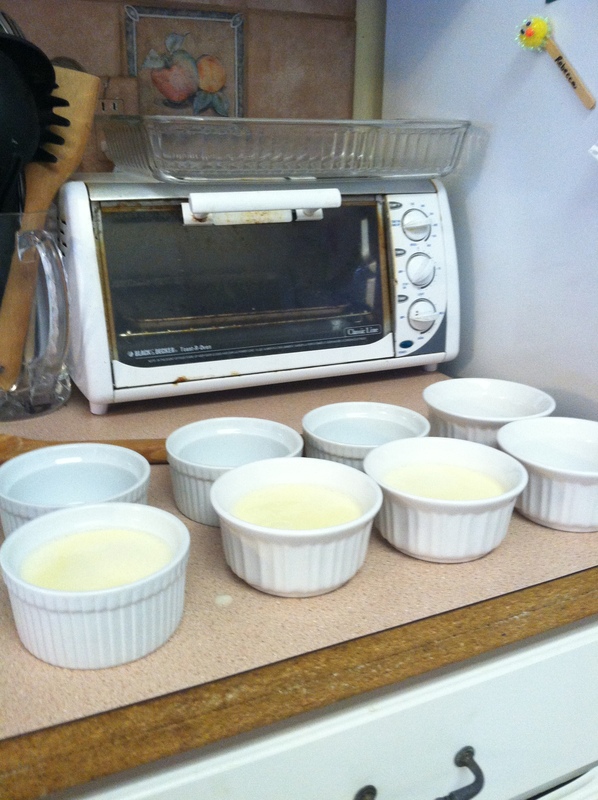 Put ramekins in an oven proof container. Add a hot water bath about 1/2 up the ramekins. Cook until set, but jiggly in the middle; about 45 min.-1 hour. 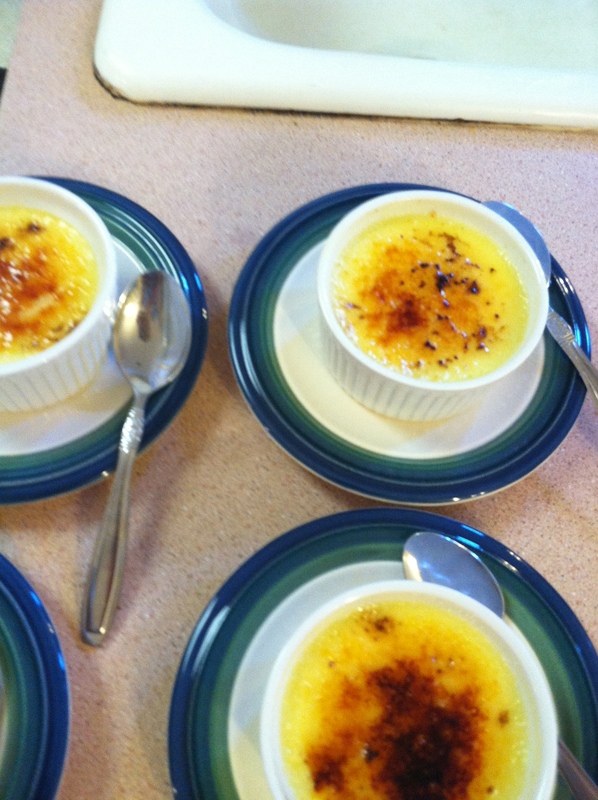 Take out of oven; place ramekins in fridge. Directions say for at least 2 hours. I think it should be 3 to be perfectly chilled. I will do that next time. Keep up to 3 days in the fridge. Right before service. Take out, add sugar to the top, and blow torch the top. ENJOY!!!! !